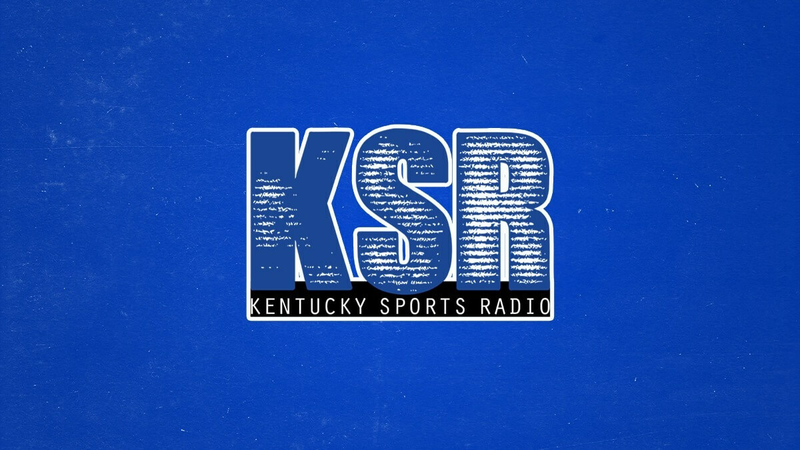 Right when we thought things were going to slow down a bit on the recruiting circuit, we have an afternoon where three interesting developments surface concerning three separate Kentucky basketball recruits. The trio of individuals? 2019 five-star forward prospects Jaden McDaniels, Keion Brooks, and Isaiah Stewart. For two of the prospects, the information/update is positive for the Wildcats, especially for one with a final decision expected in the coming weeks. With the other, there’s not as much reason for optimism as of today. Rivals’ basketball recruiting analyst Corey Evans released his regular “Three-Point Play” segment earlier today, where he included an interesting bit of information on Kentucky basketball target Jaden McDaniels and his expected timeline for a decision. Evans reports McDaniels will focus on finishing out his senior season before making a final decision between Kentucky, San Diego State, Texas, UCLA, and Washington. Sources have told Rivals.com that the current plan is for McDaniels to finish out his high school season first before making any sort of decision. This would bring us to possibly mid-March before a commitment might be made. And when that decision does come, Evans expects it to come down to the Wildcats and the Huskies for McDaniels’ services. I believe that McDaniels will end up at Kentucky or Washington. The Wildcats had gained some talk of late but either way, don’t look for anything new to come out of the McDaniels’ camp for several more weeks. Earlier in the week, Rivals recruiting guru Eric Bossi also released a positive update on the five-star forward out of Federal Way, WA. “Most seem to think he’ll stay out West but I’ve been feeling Kentucky on this one if I had to pick,” he said. On Pilgrim’s Insider Notes this past Monday, I told you guys about Kentucky’s intrigue with the idea of updating their schemes to fit an NBA style of play where all five players on the court can run the floor and hit shots from the perimeter. In fact, I’ve been told that after years of going away from the Dribble Drive offense, Calipari would like to implement it again next season with McDaniels being a key piece of the four-out, one-in style of play. Kentucky feels they have a convincing pitch in place for the 6-foot-11 forward and have a great shot in this recruitment. On Sunday afternoon, 6-foot-7 forward Keion Brooks hosted Kentucky and Indiana on in-home visits, the two schools I said on Monday will be the final two schools in serious consideration when a decision is made in the coming weeks. Though Indiana is the local school and the “hometown hero” pitch the Hoosiers are selling is working, I’m under the impression the Kentucky coaching staff is confident they have a legitimate shot no matter when the La Porte, IN product makes a final decision. This afternoon on Instagram, Brooks posted something pretty interesting on his story that only adds to that optimism for the Wildcats. Like I said on Monday, I believe Indiana may have a slight lead over Kentucky right now, but it’s close. Really close. When I brushed off the idea of Brooks coming a while back, especially after Whitney committed, I was quickly told I needed to take a closer peek into the situation and realize just how much the versatile forward likes the Cats. Even with the Hoosiers deemed the favorite, I’ve been told the UK coaching staff has a quiet confidence they can close the gap to make it a true 50/50 toss-up when an announcement comes. As optimistic as things seem for McDaniels and Brooks, the same cannot be said for five-star power forward Isaiah Stewart. Stewart, a La Lumiere (IN) product and teammate of Brooks, recently said he wasn’t ready to make a commitment just yet, but it’s right around the corner. And when that time does come, it doesn’t appear Kentucky will be the landing spot. Evan Daniels of 247 Sports, one of the absolute best in the business when it comes to insider knowledge, logged a Crystal Ball pick for Washington this morning. Adam Rowe, John Watson, and Chad Lykins, three Duke insiders, also made predictions for Washington within the span of just a few hours this afternoon. 247 Sports’ Brian Snow, who has a 93 percent all-time (96 percent in 2019) prediction grade, picked Washington back in October and hasn’t backed away from that since. The Huskies have also received four of Stewart’s last analyst predictions on Rivals.com, including one from Eric Bossi. On Kentucky’s end of things, it is my understanding the Wildcats are running fourth behind Washington, Duke, and Michigan State (in that order) for Stewart, and it would be a shock for the five-star big man out of La Porte, IN to end up in Lexington. Teaming up with former Kentucky guard Quade Green next year in Washington, though? That’s looking like the likely scenario with a decision coming sooner rather than later. If you’ve been following along with the notes over the past two Mondays, you’d know none of these developments are major surprises, but they’re certainly interesting nonetheless. Brooks is expected to make a decision in the coming weeks, followed by Stewart in late January/early February, McDaniels sometime in late March/early April, and then five-star forward Matthew Hurt to close things out late in April. Things might seem slow now, but chaos is right around the corner. Be ready, BBN. Jaden looks like a KD. But Calipari will play this kid in the post and screw is game up and tell him don’t shoot jumpers. I know what you mean, he totally screwed up KAT, Anthony Davis, Julius Randall… Makes sense!! Cal did not screw Scal. That’s absurd. He did what he could to develop the inside game Skal would need in the NBA. When that wasn’t working he started transitioning him to the high post, where he was more comfortable. Skal is still a fringe NBA player, and why? He still can’t get it done down low, where a guy his size has to be able to compete to stay on the floor. Most college coaches would have buried the kid in the bench and turned him into a second round pick. He didn’t let KAT or A.D shoot any three’s. Julius could too. He definitely screw Skal’s game up. Skal wasn’t comfortable in the post. But Cal kept him there instead of ADJUSTING (something Cal seems to have a problem doing) to these kids type of game Cal kept his coaching the same and didn’t let the kids play their game. You clearly didn’t watch the end of the season, when Skal stayed in the high post, and you clearly have never watched Randle play an NBA game, talking about him being an outside shooter. Absolutely zero validity to anything you just said. I don’t get why any of these high profile guys form the east would consider Washington. Washington is like Florida State as in they don’t have much success but always seem to be in the running for top recruits. No argument from me Michaelb, look no further than Reid Travis. He’s big time early in games,which is why I like him starting, but teams slowly phase him out as games go on. Very few guys out west are NBA ready,Markelle Fultz for example. Cal held Cousins back. Boogie could hit 3’s and he let AD show his full potential towards the end of the season allowing AD to take 3’s. Other than that Cal throws a meaty bone out and the ones hungry enough to put the work in during down time get to eat. Cal doesn’t coach traditional. He let’s players make the decisions. Love our coach but if we had 100% empowered players, practices would be 5 v 5 pick up games. Cousins ticket to the NBA with the personnel we had was as a low post scorer. It’s hard to showcase someone’s complete game in 40 games or less. Cousin’s never really featured his outside game until his 3rd season in the league, that’s at least 164 games later. Amazes me how some of you expect Cal to develop players in 40 games or less, when it takes them years to develop these skills under NBA leadership. Not trying to dog you, but have perspective. These comments are ridiculous. Boogie HAD to develop the beast mode underneath, in order to play the versatile style everyone knew he could at the next level. Similar story with KAT. Cal developed their inside game, so that now they are basically unguardable in the league. Helped them turn weaknesses into strengths, and ignorant fans call that “holding them back”. Ridiculous. What happened to TJ Waller? He left to sell real estate. Is he related to TJ Walker? Could you imagine if we somehow landed all three of Brooks, Hurt, and McDaniels? Put them with Allen, Maxey, Whitney, Hagans(hopefully he returns), Herro, Quickley, Baker, Montgomery, and Richards? Plus, if we get a surprise return like we did with Terrence Jones or the Twins? That would be an insanely talented and versatile offense that college basketball has not witnessed before. I would be worried about our post defense for sure, but still with the amount of 3’s we would hit it almost doesn’t matter. If Calipari wants the Warriors scheme then there it is. Oh yeah, I don’t look into social media much whenever it concerns where a recruit might go play college basketball. However, if you look at who Jaden McDaniels follows, it’s an obnoxious amount of future, current, and former Kentucky guys along with the Official Kentucky MBB account. He follows no other team account and not nearly as money players from anywhere else. It sounds good. But we will be deep next year too. We definitely need big men who can defend the rim. Thats our missing piece. I think brooks chooses uk after IU is Fallon on their face.